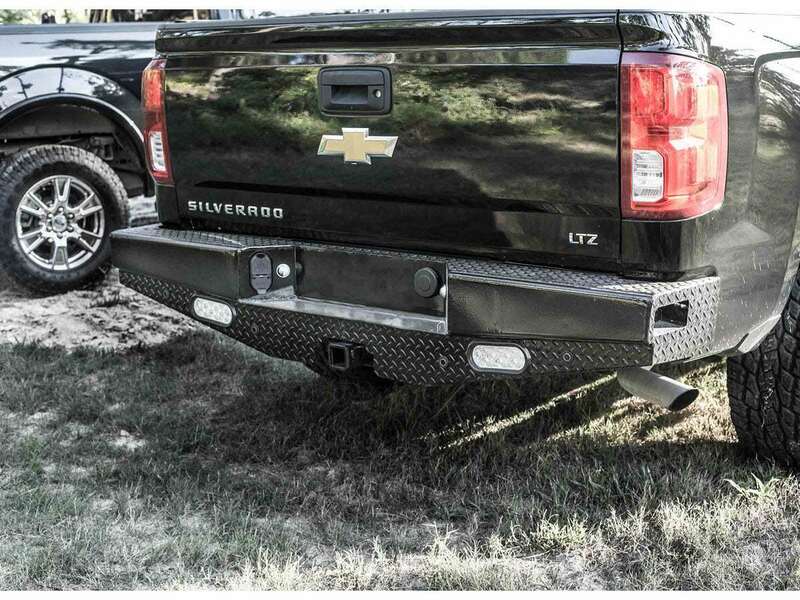 Ranch Hand's Sport back bumper is designed with the same unsurpassed quality and workmanship as the Legend series and compliments the Summit Series Front Bumpers. 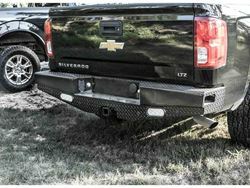 This durable back powder coated bumper is made from formed channel and has diamond plated step plates and skirts. It comes standard with backup/work lights. Depending on the model, the end cap has a built in step and most makes and models retain factory reverse sensors. Do not exceed vehicle manufacturers recommended towing capacity. 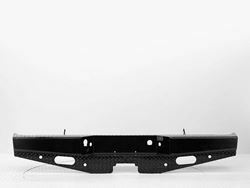 Factory receiver must be retained. Hammertone finish is an option.